Our very own Ansgar Larsen School teacher, Mr. McNish, was selected as the Hueneme Elementary School District Certificated Employee of the Year. 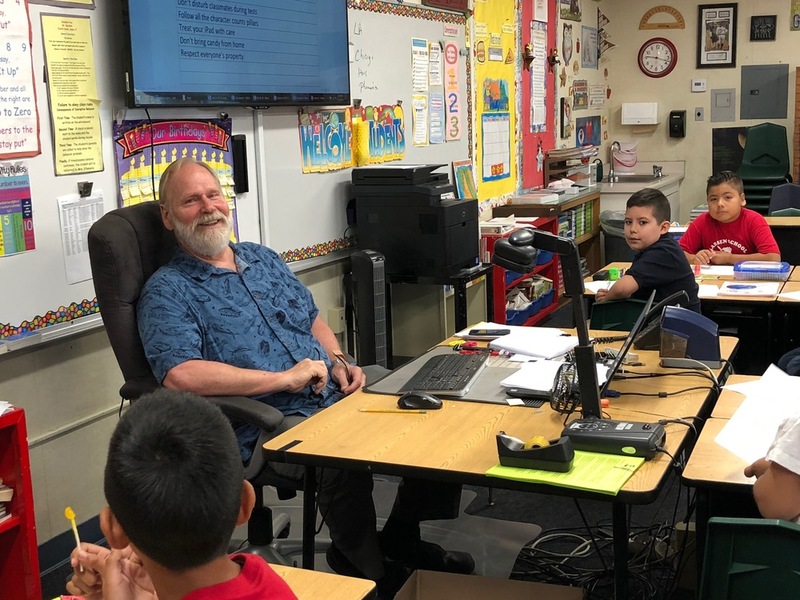 This year’s certificated employee of the year is described as one of the most hard working and generous teachers in the Hueneme Elementary School District. He began his career with HESD on August 28, 2000 as a 6th grade teacher at Blackstock Junior High. He taught at Parkview Elementary for one year before moving on to Larsen Elementary School. A wonderful teacher who embodies our district mission and vision of inspiring and empowering all students, this teacher goes above and beyond, his energy and enthusiasm is contagious and envied by all. When visitors walk through his room they want to stay and be part of what’s going on. His students are inspired as they are actively engaged in their own learning, which is evidenced by the joy and laughter that is often heard in his classroom. He helps his students dream big and see that nothing is impossible. His room is open for students before school, during recess breaks and after school for tutoring. Through activities such as student council and math olympiads, not only does he inspire and empower his own students, but he really makes an impact school-wide. He is an active member of the Larsen PTA and volunteers at every extra-curricular activity on campus. He is on so many committees, that there are too many to count. His love for his profession is evident. He comes in everyday with a smile and makes you believe that change is possible. His students love him, and his colleagues love him. It is an honor to announce and recognize Mr. Tom McNish as this year’s Certificated Employee of Year.